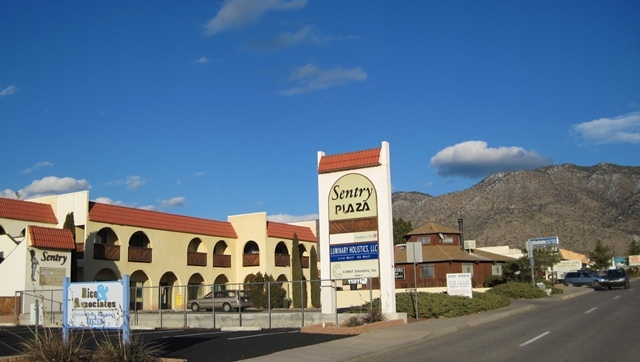 Five blocks east of Juan Tabo on the North side of Menaul in Sentry Plaza. not on your ordinary, judgmental mind. "Hi Wendy, Thank you, for the wonderful experience of your Reiki I workshop and for your healing." Lotus Path Reiki classes take us on a step-by-step journey into opening up our hearts to positive change and fulfillment of our life purpose. Receive guidance from your spirit guides and new guidance. Develop intuition and enhance your healing abilities. Classes are for suitable for any healing practice/modality, for self-healing and family healing. In Reiki II we learn to send healing from a distance to enlighten our world and create positive change both in your life and to those whose lives you touch. Reiki is a spiritual journey and a path to enlightenment. Lotus Path Reiki Workshops include the Vajrayana Buddhist Dharma teachings of Wisdom and Compassion and lessons from Traditional Usui Reiki. Call Wendy today: 505.503.7276 - This is an office land line! 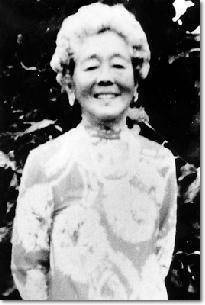 The founders of Modern Reiki. 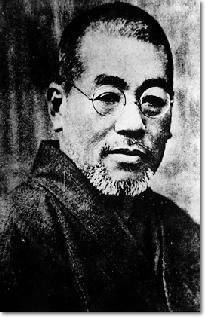 Dr. Usui 'rediscovered' the ancient secrets of Reiki. 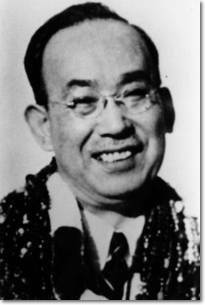 Dr. Hayashi developed the first Reiki Clinic in Japan. Mrs. Takata brought Reiki to the West and here we are! Wendy Bodin offers a breadth of expertise in the healing arts with practical experience in Vajrayana Buddhism and spiritual healing that is integrated into each class. You will learn how healing really happens, through thought, action and receptivity. Awaken your natural healing and intuitive gifts with Lotus Path Reiki. Reiki is a heart-centered energy healing method that has its foundation in ancient Buddhist spiritual teachings of divine love and empowerment. Reiki is divinely guided healing energy that you channel through your crown and heart chakras and your hands. Reiki is a means to give healing to others while receiving your own healing at the same time. Reiki heals with the divine healing powers of love, compassion and wisdom. Lotus Path Reiki classes include Buddhist background, spiritual healing, mantras, meditations and techniques to further your healing and spiritual paths. When you receive your attunements you will connect with Quan Yin, the Bodhisattva of Love and Compassion and Medicine Buddha, the Buddha Doctor who sends healing blue light through your healing hands. Reiki is a path to Enlightenment. You are now on your way. Current classes are listed below: Please call Wendy at 505.503.7276 for more info. *Lotus Path Reiki is a personal journey on your spiritual path; it is NOT affiliated with any particular religious organization or church. All faiths are welcome. Reiki has no dogma, nor do you need to be a Buddhist or to learn. Reiki is universal in principle and is compatible with all faiths. Q: Do I need to fast before coming to Reiki class to purify myself? A: That is one of those Reiki "myths" that are floating around out there. Do you really think God differentiates? It's fine if one wishes to do that, but it really doesn't matter. Basically, just allow yourself to be open-minded and receptive to the energy. Reiki comes from spirit, it is in Divine Oneness, so it does not judge. Reiki will work regardless. Some people may have a hard time receiving the attunements because they mentally block them out. For them, I just take care to do a better job of communicating and in passing the attunements. Q: I noticed that you will schedule classes by request, when or how can we do this? Q: Do you offer Practice Sessions for your students? Q: How long should I wait before I take Reiki II (after Reiki I)? A: The time between Reiki I and Reiki II is really up to you and how fast you adapt to the attunements, how fast you feel the energy and experience the shifts etc. It is best to get sufficient practice with Reiki I before you go on to Reiki II and get to understand it better through experience. Some people who have prior experience in holistic and energetic healing methods usually take to it easily and can move ahead to Reiki II quickly. It's an individual thing, no one is the same. It can be anywhere from weeks, months or years. You'll have a better idea after taking the Reiki I class. 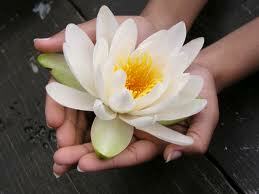 Q: I took Reiki I from another teacher, can I take Lotus Path Reiki-II from you? A: Of course you can. We will cover any essentials you may be missing in Reiki II. In Lotus Path Reiki II, you will gain a greater understanding of what it Reiki really is and how it can empower you. Q: How long should I wait before I take the Master Class? A: That is something you should meditate on and feel that you are ready. A master class is just that, a path to mastery. Reiki is a spiritual journey and a quest. When you feel spirit calling you forth, then give me a call with your questions and I will personally talk it over with you. Wendy's Reiki classes take us on a step-by-step journey into opening up to our spirit guides, introducing us to new guides and developing intuition as well as enhancing our healing abilities. Classes are for both professional practice and for self-healing or healing friends, family, pets and learning to properly send healing to world and local issues. Create positive change. Reiki is a wonderful thing for teens to learn calmness, centeredness and compassion. Reiki is a spiritual journey and a path to enlightenment. Wendy Bodin is the founder of Lotus Path Reiki derived from extensive study and practice of Vajrayana Buddhism and various Reiki traditions. This is the first level class in a series of three levels. Reiki is divinely guided healing energy that you channel through your crown and heart chakras and your hands. Reiki is a means to give healing to others while receiving your own healing at the same time. Reiki heals with the divine healing powers of love, compassion and wisdom. Lotus Path Reiki includes traditional Usui instruction as well as ancient healing secrets from the Asian and Vajrayana roots of Reiki and modern applications. 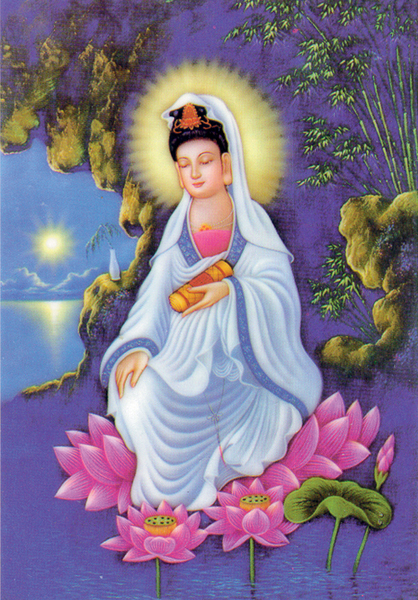 You will receive personalized attunements from Quan Yin, (the Bodhisattva of Love and Compassion). Meet your present guides and the new Reiki guides who will assist you on your new path of healing and compassion. You will learn to channel healing Reiki energy; learn the standard Usui hand positions and intuitive development, Reiki spiritual principles, energy balancing techniques, cleansing, business building and other essential procedures. Course includes workbook, custom attunements, meditations, hands-on practice, feedback, and Reiki I Certification. 8 hours Continuing education credit for NM Massage therapists. Reiki-II Lotus Path: Distance Healing with Medicine Buddha and Usui: Reiki II is the next step in enhancing your healing abilities and your spiritual growth. Open your mind's eye and heart to new levels of understanding. Reiki II pulls it all together. We will learn and practice methods of distance healing, learn Reiki II symbols, visualizations and manifestation techniques. Learn proper uses of distance healing, protection and grounding. Learn Buddhist principles, spiritual instruction, mantras, emotional healing techniques, past-life issue healing and meditations. Practice distance healing on global and local issues for peace and harmony. Bring goals for your career and personal life as we will practice Reiki healing to accomplish our goals. Course includes workbook, personalized attunements, practice, and Reiki II Certification. Pre-requisite, any Reiki I. 8 hours continuing education credit for NM massage therapists. Master Level Intensive Workshop for those who feel the calling to Mastery. What is Mastery? Follow the calling of your heart, what is your path? Find it through the Lotus Path of Reiki. You will now be able to pass on this healing power to others and increase the love and healing to our planet and for each within it. Workshop includes receiving the personalized Master Reiki Attunements, learning the Reiki III symbols, what they mean and the Buddhist symbols from which they originated. You will activate the higher vibration of the fourth symbol, learn how to pass attunements, learn and practice advanced techniques, selected Vajrayana Buddhist mantras, Empowerments and spiritual healing techniques. Reiki Master workshops are scheduled for a weekend or by appointment. Master workshops may be customized for you or for a group. Call for more information. This is your spiritual path, so the classes are guided for your highest purpose and good. You will receive the Master Workbook and Reiki Master Teacher Certification. Reiki I and Reiki II manuals are available for purchase in the class. Prerequisite: Any approved Reiki II or III. 16 hours continuing education credit for NM massage therapists. younger children should be accompanied by a parent or family member. you are reserving the date and my time for me to teach at your request. It is not refundable. Your payment reserves that date. The second level takes you deeper into your journey. You will learn how to cross the dimensions and send healing from a distance. 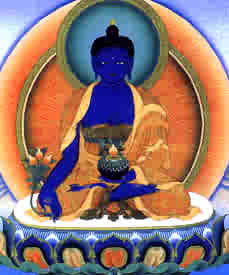 We will connect with the Medicine Buddha and the healing blue light for deeper healing. You will also learn manifestation techniques that really work to empower yourself and others. Prerequisite: Approved Reiki-I or II certificate. (other than a regularly scheduled class), you are reserving the date and my time for me to teach at your request. It is not refundable. Your payment reserves that date. Lotus Path Reiki-III Master Class: Lotus Path Mastery is a journey into deeper self discovery. What is Mastery? We will learn how to pass attunements and receive attunements. Be prepared to allow your soul to expand, to find acceptance and love. PrerequisiteIn this class, we will take an in depth look at spiritual healing from the Vajrayana perspective and insight from many Reiki traditions. This is an excellent awakening for those who seek wisdom and insight beyond this dimension and be one with Reiki. Pre-Requisite for Masterclass: Completed Reiki I and II or III with sufficient study, practice and approval. Please contact Wendy to discuss your Reiki experience and goals. 16 hours Continuing Education credit for NM Massage Therapists. transferred to another scheduled class date if needed. The balance will be due at the time of or prior to the workshop. Credit card through Paypal, check or cash is accepted. If you need to pay by Credit card or PayPal. I can send you a Paypal invoice for the balance due. ​*Master classes can be scheduled by request (other than regularly scheduled class) Pre-payment in full required to book the agreed upon dates. Please note that when you book a class date, you are reserving the dates and my time for me to teach at your request. It is not refundable. Your payment reserves that/those dates. Call Wendy at 505.503.7276 (office land line) to talk about your Reiki experience before registering for the Master class. ​"I thank you so much for your Masterclass and sharing your very great gifts. Blessings to you". Mary L.